The October 2016 issue of Current Directions in Psychological Science presents an entire special issue dedicated to exploring all that psychological scientists have learned about dog behavior and cognition in recent years. Current Directions in Psychological Science is a journal of the Association for Psychological Science. “In the past 20 years, however, researchers have recognized that those sources of variability may not be as great as once imagined, and a wealth of research on the cognitive abilities of dogs has appeared in the literature,” Zentall explains. The special issue offers an overview of the literature, highlighting the kinds of questions scientists have been trying to answer in an effort to understand the mental and social capacities of dogs, he adds. The collection of articles underscores the unique relationship that dogs have with humans. 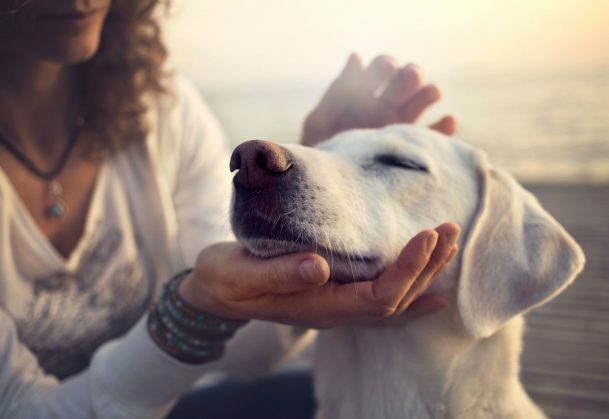 Accumulated research shows, for example, that dogs are highly attentive to humans’ communicative cues — including pointing and eye gaze — and they are able to comprehend and respond to human spoken words. Studies also indicate that dogs can recognize individual humans based on their face and can discriminate between different expressions of emotion, at least to some degree. But existing research also provides little evidence that dogs have a meaningful understanding of humans’ motivations and mental states, or the ability to reflect on their own mental states. Although studies suggest that dogs can solve complex visual tasks and store multisensory representations, dogs appear to have limited spatial memory and numerical discrimination. And data indicate that dogs’ sense of object permanence is roughly equivalent to that of a 1- to 2-year-old child. “There can be little argument that dogs are remarkable beings: Their ability to inveigle a larger, stronger, and surely more intelligent species to support their welfare is itself striking enough,” writes APS Fellow Clive D. L. Wynne of Arizona State University in his article about dog cognition. But just because dogs are incredibly skilled when it comes to social interactions with humans doesn’t necessarily mean that they have more advanced cognitive abilities than other animals do, he adds. As many contributors to the special issue note, research on dogs’ particular capacities and abilities is still in its infancy. Existing studies tend to be small and underpowered, making it difficult to examine individual variability and complex behaviors. Furthermore, integration across multiple levels of analysis — including behavior, neurobiology, and genetics — tends to be rare. But momentum in the field seems to be building. The fact that dogs are so socially adept means that they can be trained to participate in studies that employ a variety of investigative approaches, including relatively new technologies like noninvasive neuroimaging techniques. This opens up avenues for exploration that are not available to researchers who study most other animals. As research methods improve and collaborative partnerships develop, the field stands to gain deeper insight into the mechanisms and processes that underlie dogs’ behavior. These insights may, in turn, elucidate important aspects of human behavior. I read a book back in 1968 that opened my eyes to the ease of training dogs to learn concepts. (Stop! Sit! and Think: The Only 20th Century Manual for Educating All Dogs by Eisenman). Dogs are easy to reinforce with a “good boy/girl” or a pat on the head. No lab chow needed and shouldn’t be used. That’s for tricks. I believe his book is out of print, but someone should re-publish. You won’t believe what you can teach a dog. I was going to teach language to a dog for my dissertation, but realized it would take two years to teach the 500 words and concepts. Would have been novel back in the 1970. No longer–much research is showing their language ability. Why not use this new research and findings to further increase the practical uses of the dog and to more quickly train dogs to perform these tasks.